Nice bike. The seat, not so nice. Were the mags an option on those bikes? I'm used to seeing them with the Akront spokes. Gleaned from the add: "The frame is in excellent, original condition along with the upgraded aluminium wheels. $2,075 - RESERVE NOT MET - 3 bids - 6 days to go! Wonder what it will finally go for?!? 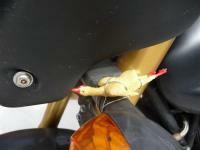 Wrong front fender, anyone bidding should inquire if the seller has that part as it is extremely difficult to find. Same with the original license plate bracket. Now $6,099 - 8 bids - still 6 days to go - Reserve Not Met!! Where those wheels really and "upgrade" ? The Wheels on My '87 LeMans weigh a ton. I cant imagine the spoke wheels would weigh more. I like the seat, and would love to own it, but it's out of my price range. I predict it gets to $12K and reserve not met. Nice gleaning. The bold type is a nice touch. A buddy of mine sold his within the past year for $14K. I really like these! I have a set of those wheels and they do weight quite a bit more than the spoked rims, but they are tubeless. 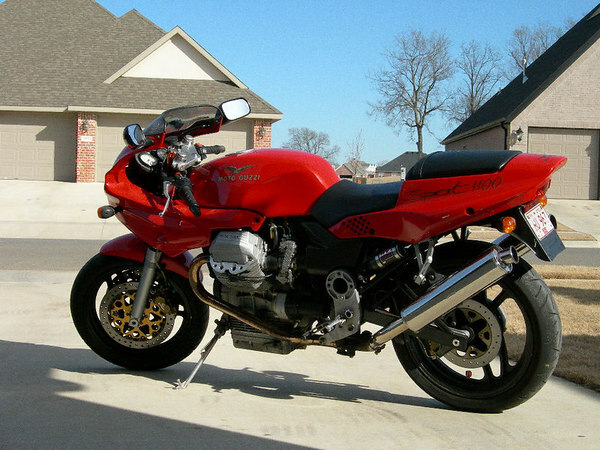 So, I traded my Ducati 750 F1S for a black/orange 1000S in the early 90’s. Put a BMW cafe fairing on it and painted / striped to match. Nice bike but a handful to ride with those low clipons. Numb hands. Like so many, just because it’s beautiful doesn’t mean it’s fun to ride for any long distance. 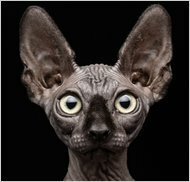 Don't you need one of these?!? $9,100 - 19 bids - Reserve Not Met - still 6 days to go!! 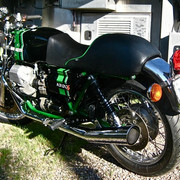 The excellent condition one in Texas was like $22K, he started asking $25K on craigslist. Ouchie mamma! Reasonable low miles, the clocks look original. Out of my price range I'm afraid. If this is the bike, I saw it at the NM Rally in Datil in 2013. It was a stunner...and reportedly SOLD for over $20K!! Both of mine have oem mag wheels. 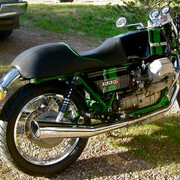 Sure is a nice looking Guzzi. IIRC, some of the OEM wire wheels can split in half, down the center Some type of defect, but I cannot remember the specific details. There were a batch of Akront rims that would split between the spokes, and there was a recall for the 91 models from what I remember. On my friend's bike, it had the cracked Akront rims, but I want to say it was a '93. He ended-up substituting them out for wired rims off of an XS650. No doubt disclosed on his $14K sale. The 1000S is beautiful. 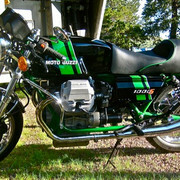 Quintessential Guzzi. $10,000 now...23 bids...Reserve Not Met...4.5 days to GO!! What will be the final number?!? $12K?...$15K?...$18K?...$20K? More? Would love to own this classic...but don't have the disposable lettuce!